So why am I calling this a new habit? Well, in the past, I have not made a habit of forcing myself to only spend what’s in the budgeting categories, and we are also not budgeting from last month’s paycheck (more on that in a sec). For years, I have used the budgeting software Mvelopes. Unfortunately, it’s not being updated and the app is very hard to use. Many people have raved about You Need a Budget (or YNAB, pronounced Why-Nab), so I decided to sign up for their 34-day free trial and give it a try. After I signed up, I realized that they give a free year to any type of student, so we actually got a free year, because I’m getting my master’s! For me, YNAB was very intuitive to use, because it’s a lot like Mvelopes. I have heard people say if you’re not used to a budgeting software, the site can be confusing. But their Help section is pretty good, so it’s easy to find the answer you’re looking for. I followed the step-by-step instructions to get set up, which involved importing my accounts, including checking, savings, and credit cards (we pay them off in full each month). Once those accounts were imported, I had money that I needed to budget. I added some budgeting categories, eliminated others, and moved some around (you just click and drag on the site). I even made a category for our emergency savings, because you need to give every dollar in your accounts a name. I organized our money into the same 50/50 parameters we’d had before. Half our money is dedicated for what I called “Essential Expenses”: mortgage, food, gas, insurance. The other half is divided between non-essentials (entertainment, dining out, haircare) and saving, to remind us that these are categories to keep as low as possible or eliminate. Because we put most expenses on credit cards, I had credit card bills I had to “budget” for with that money. Once those initial bills were paid off, YNAB pulls money from each category to “pay” the credit card before the bill is due. There’s a category for the cards, and the money sits in that category until it’s time to pay the bill each month. You can set up goals, and the software will let you know how much you should be saving each month to reach your goal. The great thing about the software is how easy it is to get help. There is a “Help” feature right on the main budgeting page, so you can type in a question anytime and find the answer. There are also written guides, or live classes you’re encouraged to take, to help you understand online budgeting. Our money is currently 6 days old. Another key is the “Age of Your Money” feature. For the first few days, I just saw question marks here, but eventually, the software determined the age of our money was 4 days. In YNAB land, that’s very “young” money. Eventually, you want to get to the point where your money is 30 days or older, so that you’re budgeting from last month’s money. YNAB founder Jesse Mecham explains that people do this by saving, selling things, and applying bonus amounts to their budget. You decide where your money goes before you spend it (giving every dollar a name). You break your yearly or bi-yearly bills into monthly savings goals. You change your budget as you need to. You spend last month’s money. How has YNAB worked for our family in a way that’s different from the past? Well, first of all, I am only allowed to budget the money I have in my accounts, which is different than before. In the past, I could budget for next month based on next month’s earnings, and save the profile and fill it in when the money came in. Now, because of the way the software will go red if you overspend, I really need to wait to budget for next month when the money comes in. If we think about the Cue-Behavior-Reward cycle, then that big red money balloon at the top of the page has acted as a cue to discourage me from overspending. To Be Budgeted. It’s not red! This feature is great because it encourages me to wait and budget when there’s money in the bank. I don’t like to see it go red, so I’ve been waiting to budget for a category until we have money there, or it’s time to (so I haven’t budgeted anything for February yet). I have always wanted to get one month ahead on budgeting, so I think this will be a strong motivator to do that. The reward for me has been the “Age of Your Money” feature. I received a paycheck and am waiting until next month to budget it so that the Age number will increase (we’re now at 6 days 39 days–we’re getting better). Saving money, eating healthy! (Disclaimer: this was a particularly healthy week which was why I took a picture. The oreos and tortilla chips are already hidden in the pantry for me to gorge on later). I really find myself thinking about our budgeting categories as I go about my spending. The biggest area of savings so far has been our groceries. We live in an expensive area of the country for food, but I have been working to spend $70-$100 per week at the store. 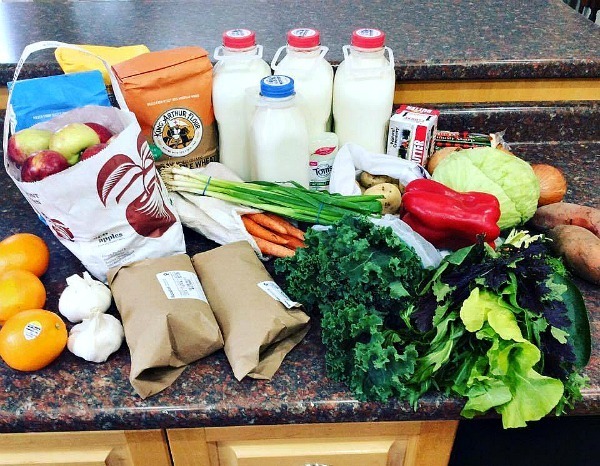 Our monthly grocery bill is less than half what it was last month! This is highly abnormal, and likely unsustainable, as we’ve eaten a lot of food we had on hand, but it does show the power that awareness has brought to my spending. Currently, we’re applying all extra money to budgeting, and seeing if we can save up enough through spending less to get one month ahead. 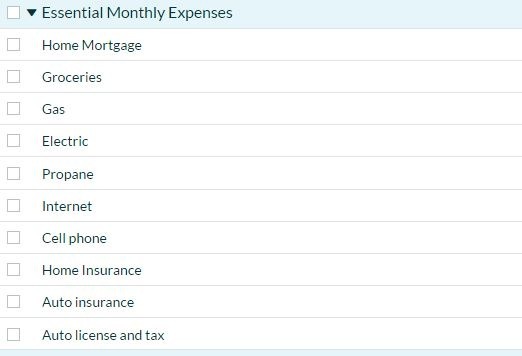 February will be a big month of expenses for our family, with a house repair to pay, car insurance, and part of an overdue tithe (I made an accounting error and underpaid). I expect that next month will be the real test for how my behavior changes, because we have so many expenses. In a year with so many financial goals (paying off our apartment in Chile, saving for a new roof, a trip to Chile), we have to focus on our spending at the micro level to make sure it’s working as efficiently as possible. I’ll post an update at the end of the month on how we did. 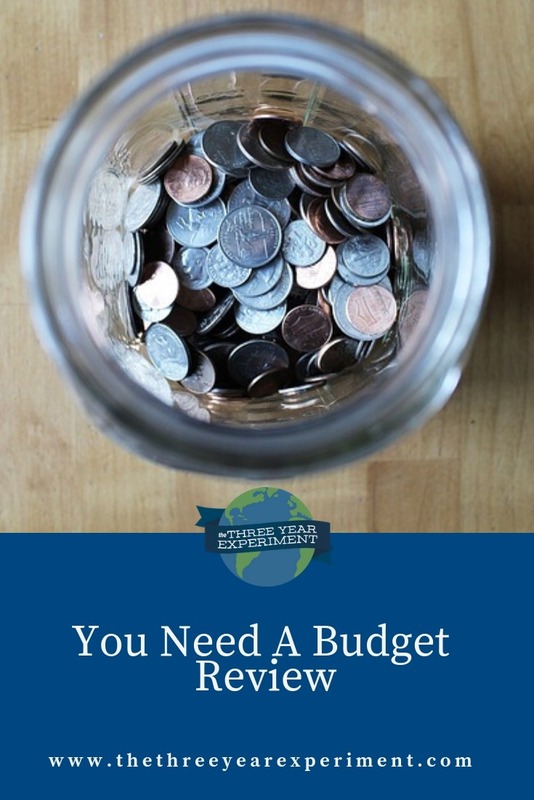 Do you budget? What software do you use? Next Next post: Let’s Move to: Bangkok!